Create a one of a kind Treasure Box with the beauty of Amber Moon and delicate metal treasures. 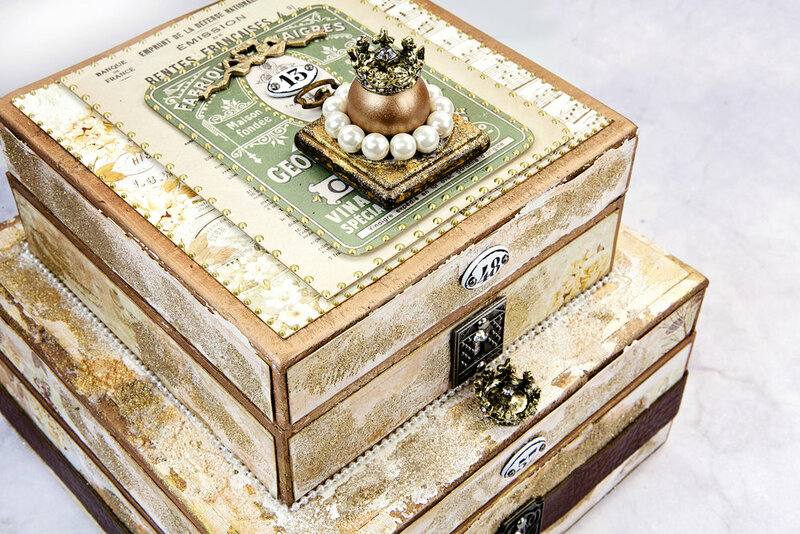 Featuring a beautiful shaker compartment and a fold out accordion photo holder, this treasure box class is truly one of a kind. Please note, this is an in-person class. Class will be held September 22nd 2018 at Frank Garcia Studio. Cream Cardstock: We will need about 12 - 8 1/2 x 11 sheets, we will have some available in the shop. We will need about 12 6x6 photos for this project, 6x6 is optional but you can bring any size you like. It is vital to have the photos for certain parts of the project as the project cannot be completed without these pieces.